Diisononyl phthalate (DINP) is a phthalate used as a plasticizer. DINP is typically a mixture of chemical compounds consisting of various isononyl esters of phthalic acid. As usually,using copper or aluminium (aluminium being the most popular choice) to make PVC keychains mold. This is what you will use to shape the PVC. 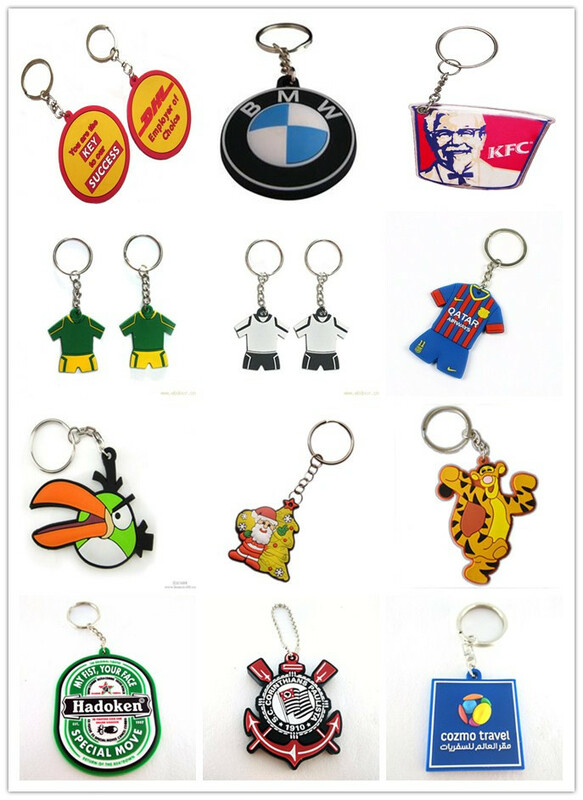 PVC CREATIONS INDUSTRIAL CO.,LTD use Eco-friendly soft PVC material to make pvc keychains/pvc kering. PVC keychains can be 3D soft feeling colorful design, can be put on company logo ,website, QR code, commonly used as promotional gifts, advertising gifts,decoration articles,tourist souvenirs,decorative etc.commonly used as promotional gifts, advertising gifts, decoration articles, tourist souvenirs, decorative etc. 2.Beautiful and fashionable,can be 3D design and colors. 4.Can be customrized as people’s idea.